Weichel saw the massive truck bearing down on the girl and grabbed her out of the way. But in the process, the armored truck ran him over, Riel said. "He was a big kid at heart. He always had a smile on his face, and he made everyone laugh," 1st Sgt. Nicky Peppe, who served with Weichel in Iraq, is quoted as saying in an Army story. "But as much as Weichel was funny, he was also a professional. When it was time to go outside the wire for a combat patrol, he was all business." Rhode Island Gov. Lincoln Chafee has ordered flags in the state lowered to half-staff until Weichel, who was posthumously promoted to sergeant, is laid to rest Monday. Weichel is survived by his parents, his fiancee and three children. 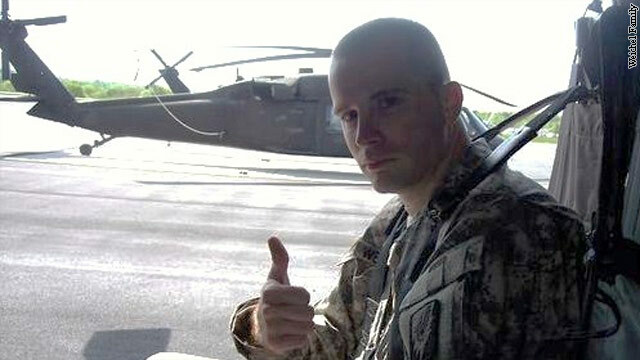 His family will be awarded a Bronze Star and other awards for his sacrifice. is that you gett moe energy from food than you consume. Thanks for your publication. I would also like to opinion that the very first thing you will need to complete is verify if you really need credit repair. To do that you will have to get your hands on a duplicate of your credit report. That should really not be difficult, since government makes it necessary that you are allowed to have one free of charge copy of your actual credit report on a yearly basis. You just have to request the right persons. You can either look at website owned by the Federal Trade Commission and also contact one of the main credit agencies immediately. Hey Tyler, I hope you get to read this: I just wanted to say You are a very tltneaed and wonderful singer, much better than some of the big names out there. I hope u get as far as you dream, and beyond I first heard My Country over Halloween weekend and loved it. I've listened to it probably 100 times already. When I was downloading it I heard this song, and it makes me stop and think everytime. I've also heard this﻿ song proabably 100 times as well. Idiot! I hate this soldier because he died after saving another one. This is very bad. I don't like to kill myself just for the welfare of others. i worked for the n.y.c. transit authority,as a trackman.one day a man fell or was pushed was on track,did not move i ran to the tunell to fl ag train down,and stopped train,that saved his life,in the army they get a bronze star for this. i got an 8×10 piece of paper. and the person i saved never said thanks. You saved his life not for publicity, but as a part of human rights. I understand you wouldn't give your life to save a little girl, you love your own life Ofcourse. But i think when ppl decide to become a hero (soldiers) automatically know their souls are destinated to save others life.